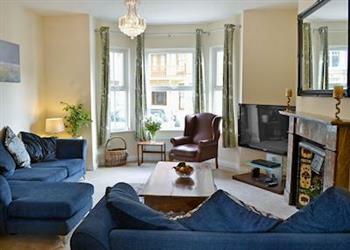 Beachcomber in Cromer sleeps 5 people. Beachcomber in Cromer is a ground floor apartment which is perfectly positioned within easy walking distance of the beach and town centre, boasting an enclosed courtyard garden and parking. Beachcomber has original Victorian features, a large bay window with feature fireplace within the living room, spacious rooms throughout with high ceilings and original flooring within the hallway. 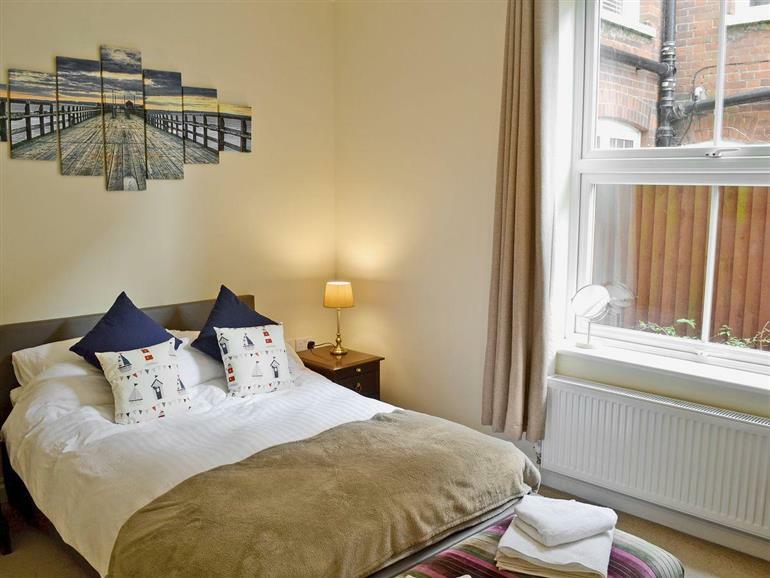 The apartment is furnished and equipped with present day comforts and offers an excellent choice for a holiday base at any time of year. The popular seaside resort of Cromer, located on the North Norfolk coast, has amenities for young and old alike. Famous for its tasty crabs, wide open beaches, a traditional pier, complete with a theatre providing seaside special variety shows (seasonal), a lighthouse, RNLI working lifeboat station and museum, Amazonia Zoo, cliff top golf course, and seaside town with a variety of shops, restaurants and cafés. Cromer’s renowned carnival week is held in the third week of August. Neighbouring market town of Sheringham, 4½ miles, for the North Norfolk Steam Railway, Splash Aqua leisure pool, shops, cafés and restaurants. Felbrigg and Blickling stately halls (National Trust) and Sheringham Park (National Trust) are within a 20-minute drive. Within an hour’s drive of the famous Norfolk Broads for river trips and daily boat hire, and the city of Norwich, with excellent shopping malls, theatre, castle, fine dining, pubs and cafés, is within easy reach. Visit Blakeney Quay, Cley-next-the-Sea and Morston Harbour for a boat trip out to sea and see the seals (seasonal). Holkham Hall and a sandy beach are 22 miles away. For a day trip, visit Great Yarmouth, 33½ miles, and enjoy its many attractions, including the thrills of the Pleasure Beach. Beach 700 yards. The shop, pub and restaurant are 700 yards from Beachcomber in Cromer. 2 steps to entrance. Beachcomber is all on ground floor: Living/dining room/kitchen. 2 double bedrooms, one with single bunk over. Bathroom with bath, shower cubicle and toilet. Gas central heating, electricity, bed linen and towels included. 50’’ Freeview TV. DVD. Electric cooker. Microwave. Washing machine. Dishwasher. Fridge/freezer. Wi-Fi. Enclosed courtyard garden with terrace, sitting-out area and furniture. Parking (1 car). No smoking. Holidays at Beachcomber run from Friday to Friday. Do you want to holiday near Beachcomber (W44298), you can see other cottages within 25 miles of Beachcomber; have a look to find your perfect holiday location.